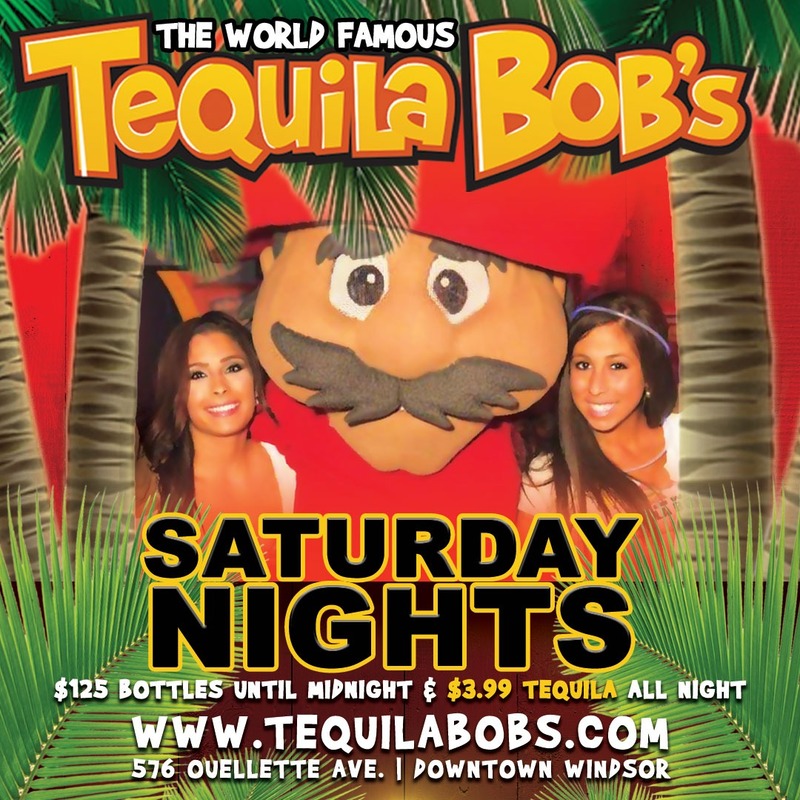 Interested in having a Tequila Bob's in your city? 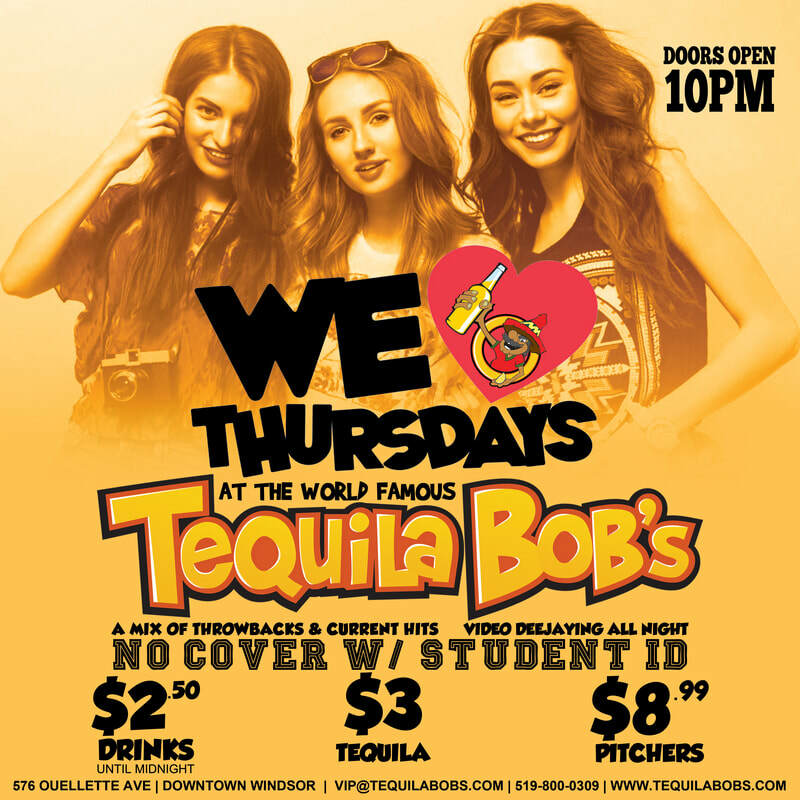 Please email us at vip@tequilabobs.com or text 519-800-0309. We love Thursdays! That's why we're bringing you great drink specials such as $2.50 drinks before midnight, $3 Tequila and $8.99 pitchers of beer or margaritas! The craziest Friday Night Party in town. You won't find a busy bar than here. 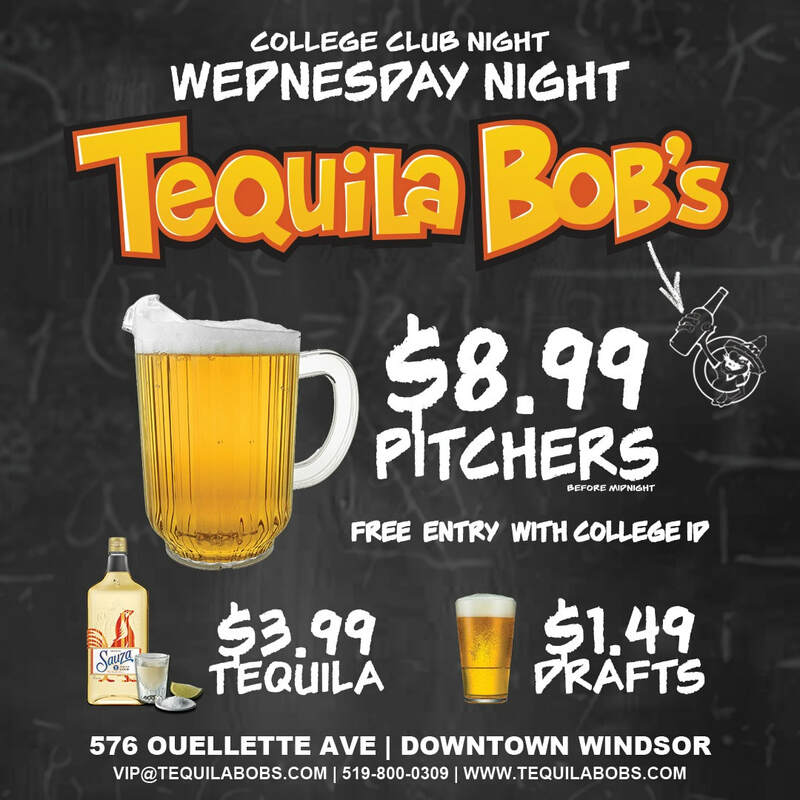 Enjoy $6.50 Fishbowls and $3.99 Tequilas All Night! Get here early! Line-ups are around the corner. Enjoy $3.99 Tequilas All Night! Don't forget to book your FREE booth!